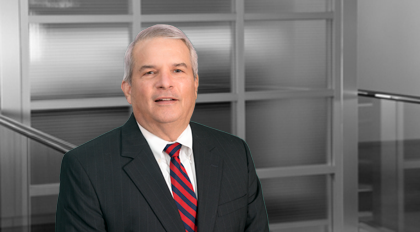 Concentrating on finance, commercial real estate and business law, Greg Pearce has considerable experience in sophisticated pricing such as derivative external interest rate swaps under ISDA Master Agreements. He handles various transactional matters for state and national lenders including acquisitions, construction lines of credit, permanent financing, loan restructuring and workouts. He assists clients with commercial loan transactions involving hotels, office buildings, shopping centers, warehouses, industrial parks, rental apartments, condominiums and single-family subdivisions. Pearce also represents real estate developers in connection with the acquisition and sale of land, development and construction financing, platting, title examination and insurance, leasing and related aspects. He is a licensed title agent for Chicago Title Insurance Company and Old Republic National Title Insurance Company. Included in Chambers Partners USA in South Carolina – Real Estate 2010- 2011.